BY J.H. RICH CAPT. R.E. A collision that occurred on the 23rd June by a passenger train of the South Eastern Railway Company running into A passenger train of the London, Brighton, and South Coast Railway Company, at the Bo Peep Junction of these lime of Railway, near the St. Leonard's Station of the London, Brighton, and South Coast Railway. 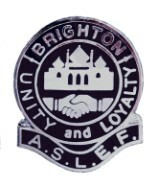 The London, Brighton, and South Coast Railway Company's train which left London at 8.l0 A.M. on the 23rd June, joined a train from Brighton at Lewes. This train arrived about 19 minutes late at the St. Leonards Station, which is about 300 yards west of the Bopeep Junction. This delay is in part accounted for by an alteration made in the starting of the train from London, and in its having to wait for the Brighton train at Lewes. It also appears to have lost about 5 minutes on the road. A notice issued by the Company on the 7th June informed the parties concerned, of the intended alteration in the starting of this train, but the notice omitted to show the change in the hours of arrived and departure from the various stations on the line, which would be the consequence. The omissions is to be regretted, though it was not the cause of the accident. The train was composed of an engine and tender, 18 passenger carriages, one of which had no passenger and wee used as a break, and two brake vans. The break were placed one behind the engine, one about the centre of the train, and one at the tail. The carriage of the London, Brighton, and South Coast Railway, which was struck first, was next behind the centre break van. It was knocked & the rails the side and the framing were much injured, and the hind wheel0 were knocked off. The front part of the train, to which it remained attached, was stopped by its dropping into a hole in the roadway in the tunnel, where the men were repairing the line. Five or six carriages in rear of this one were detached from the train, knocked off the rails, and had their sides, compartments, and frames damaged, bat fortunately did not upset. The South-Eastern Company's train was composed of an engine, tender, 15 passenger carriages, and three breaks, one next the engine, one about the centre, and one at the tail of the train. The train is mid to have been about 16 minutes late on leaving Tunbridge, and the driver admits that he was trying to make up time, though he states at the same time, that his speed on coming out of the cutting, about half a mile on the Tunbridge side of the Bopeep Junction, was not greater than 28 miles an hour. The guard states the speed at this place was about 35 miles an hour, and as the time table gives an average speed of 30 miles an hour between Battle and St. Leonards Stations, it appears probable that the speed given by the guard is not too great. The driver attributes his inability to stop his train to the greasy state of the mile from the late rain, and to the breaks not having been properly applied. The guards of the South-Eastern train all three state that they applied their breaks before the driver whistled for them, as they perceived the distant signal at “danger” on coming out of the cutting about 700 yards before reaching it. One of them, who is a porter and was acting as guard, states that he heard the driver whistle for the "danger” signal to be take off before he whistled for the breaks. The whole of the evidence led to the conclusion that the driver approached the distant signal of the Bopeep Junction at a greater aped than he should have done ; that he attempted to whistle down the danger" signal before be whistled for the break, and did not reverse his engine till he perceived the steam rising from the London, Brighton, and South Coast Railway train, which was in the junction cutting, bat it was then too late. The regulations of the South-Eastern Company are, that when the distant signal is at “danger’ drivers should stop their trains outside it. This regulation the driver appears to have disregarded, and the collision was the result. Three persons are reported to have received severe bruise, and six or seven others to have been slightly shaken, but none to have been seriously injured. The driver has been employed by the South-Eastern Railway Company for 13 peers as driver, and he has been 28 years in the service of the South Eastern and Greenwich Railway Companies, and bears a very good character. The signal box at the Bopeep Junction, which belongs to the South-Eastern Railway Company, appears well placed for the signalman to see the distant signals towards the St. Leonards station of the London, Brighton, and South Coast Railway, which it commands, and also to see the distant signal towards Tunbridge Wells. This latter signal is only about 260 yards from the junction, and its distance cannot be increased without moving it out of eight of the signal box at the junction. A repeating signal placed a good distance in advance towards Tunbridge Wells would appear very desirable. The approach of the South-Eastern Railway to the Bopeep Junction has two sharp curves, of the S form, of about 7 chains radius -h. The 300 yards next the junction is through a cutting, and the gradient is falling l in 132 for the last 260 yards. This junction should always be approached with great caution. The break-power attached to both trains was not sufficient in the opinion of the other inspecting officers of this department, and if the evidence of the driver and guards of the South-Eastern train can be be depended on, it is shown to have been quite insufficient in the present instance.